The saga of Climategate continues — dun dun dun. The story started back in November when a group of Scientists at University of East Anglia in the UK were accused of attempting to fudge data in order to quell the words of global warming disbelievers. We reported a couple of weeks ago that a governmental panel in the UK acquitted the scientists of wrongdoing. Now in the third installment of this tale an independent panel of scientists has declared the University of East Anglia’s scientific research sound and completely unskewed. The whole thing started with a classic e-mail leak. Scientist chatting with scientists about how to quell the rising tide of global warming dissenters. Personal e-mails of Professor Phil Jones and his colleagues at UAE were sent around the internet and the whole thing blew up. It has now seemingly been shut down. With the first investigation the scientists’ names were cleared. Now their science has been thoroughly examined and as the independent panel said, “There was no hint of tailoring results to a particular agenda.” Official score — Professor Jones 2, climate dissenters 0. Lord Oxburgh -- chairman of the Carbon Capture and Storage Association and the wind energy company Falck Renewables --- who stands to make billions if not trillions of dollars in the next few years with his carbon sequestration and other schemes ---- clears the people who are making his fortune possible. Hmmmmm. Nothing fishy going on here. Just normal climate ‘science’. Question: What are the chances an infinitesimal (.04%) trace gas (CO2), essential to photosynthesis and life on this planet, is responsible for runaway Global Warming? Answer: Infinitesimal The IPCC now agrees. See the IPCC Technical Report section entitled Global Warming Potential (GWP). And the GWP for CO2? Just 1, (one), unity, the lowest of all GHG. What’s more, all greenhouse gases combined constitute just 1% of the atmosphere. Of that 1%, water vapor, the most powerful greenhouse gas, makes ups 40% of the total. Carbon dioxide is 1/10th of that amount, an insignificant .04%. If carbon dioxide levels were cut in half to 200PPM, all plant growth would stop according to agricultural scientists. It's no accident that commercial green house owner/operators invest heavily in CO2 generators to increase production, revenues and profits. Prof. Michael Mann's Bristlecone tree proxy data proves nothing has done more to GREEN (verb) the planet over the past few decades than moderate sun-driven warming (see solar inertial motion) together with elevated levels of CO2, regardless of the source. None of these facts have been reported in the national media. Why? As much as you may wish to portray the incident as a unmitigated win for the researchers it is a pyrrhic victory at best. The researcher should have never acted in manner that would raise questions as to the fundamental integrity of his research and being cleared by a government panel in country where environmental concerns have more political weight than here also raises the specter that their actions were more politically motivated than scientifically. 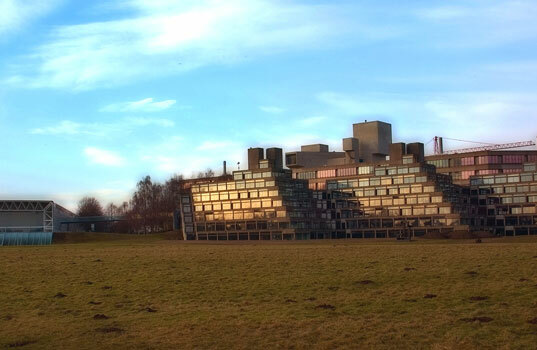 The University of East Anglia -- pictured above -- was at the center of the "Climategate" saga. The saga of Climategate continues -- dun dun dun. The story started back in November when a group of Scientists at University of East Anglia in the UK were accused of attempting to fudge data in order to quell the words of global warming disbelievers. We reported a couple of weeks ago that a governmental panel in the UK acquitted the scientists of wrongdoing. Now in the third installment of this tale an independent panel of scientists has declared the University of East Anglia's scientific research sound and completely unskewed.